More than getting away, this retreat is about coming home to yourself. Spend quiet time in nature. Meditate to the sound of the ocean, monkeys and birds. Practice yoga twice daily. Delve deeper into the meaning and philosophy of yoga. Create new friendships, enjoy fantastic food, and reset. This is a seven day yoga and meditation retreat. 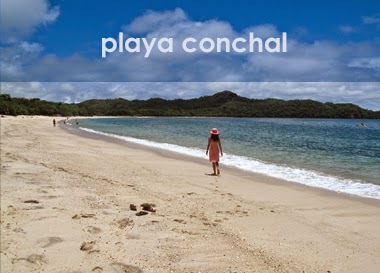 Enjoy morning beach walks, group meditation, a taste of the Costa Rican culture, and plenty of free time to do your own thing. 11:00 AM - 5:00 PM Free time: Lay by the pool. Lunch. Explore. 8:30 PM - Lounge. Entertainment. Free time. The hotel will have plenty of entertainment, and areas for relaxation, plus the beach is stunning. Non-motorized sports are included during your stay. If you are interested in 1/2 day or full day excursions please check this site: http://conchal.swisstravelcr.com/. It is highly recommended that you stay 2-3 days after the retreat to explore the country in more detail. The Westin Golf Resort & Spa, Playa Conchal is an All Inclusive eco-friendly retreat, located between the exotic forests and unspoiled beaches of the North Pacific Riviera of Costa Rica, this secluded vacation spot is a perfect balance between unrivaled luxury and local culture, giving guests an unforgettable vacation experience. 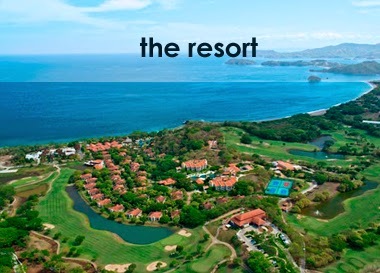 Nestled in the green forests of Costa Rica's magnificent North-Pacific Riviera in the province of Guanacaste , The Westin Golf Resort & Spa, Playa Conchal is located 60 km from Liberia International Airport (LIR) and 15 minutes from Tamarindo local airport. Option 1 - Fly directly from into Liberia Airport (few airlines offer this option), then take a taxi from Liberia to the Westin Conchal(about 45 minutes / $50 pp for a shared shuttle). We can help you arrange with other students arriving at the same time. Tamarindo (about $60 / 1 hr). Check: www.flysansa.com or www.natureair.com. Then take a 15 minute taxi ride to the Westin Conchal. Option 3 - Fly into San Jose and take a shuttle to the Westin Conchal. Shuttles usually depart from across SJO airport. thinking about joining us in 2015? Let us know if you have any questions at retreats@puravidayogacenter.com. Due to the nature of this event, space is limited. A $300 deposit is required to reserve your spot. The $300 deposit is part of the total price. Meals: Multiple restaurants (dress code from casual to elegant) to choose from when you're ready for breakfast, lunch, dinner, or snack. Plus 24- hour room service included. Drinks: Multiple bars throughout the resort. And all you can drink bottled water. Entertainment options including non-motorized (kayak, snorkeling, pedal boats, bikes) water sports, daily activities and nightly events. NOTE: Price does NOT include airfare or travel insurance.